Marcia Holstad, PhD, FNP-BC, FAANP, FAAN, professor at the Nell Hodgson Woodruff School of Nursing, was selected as the Southern Nursing Research Society’s (SNRS’) 2018 Distinguished Researcher Award recipient. Much of her work has emerged from Holstad’s role as Director of Clinical and Social Science Integration for the Center for AIDS Research (CFAR) at Emory University. She is one of the few nurses in the United States to have an administrative and collaborative role within CFAR. For more than two decades, Holstad has pioneered advances in nursing education and clinical care for individuals living with HIV and AIDS. Her theory-based and interdisciplinary research focuses on improving self-management for individuals living with HIV/AIDS and emphasizes medication adherence, reducing risky behaviors, early palliative care for individuals with an AIDS diagnosis, and aging with HIV. She has secured millions of dollars in external funding through more than 20 research grants from organizations such as the National Institutes of Health, the U.S. Department of Education, and more, and has been a principal investigator on five NIH-funded projects. Most recently she served as the PI on two NIH/NINR-funded projects: The Music for Health Project, which tested the efficacy of a smartphone mobile app containing a music program designed to educate and motivate people in rural Georgia infected with HIV to adhere to their antiretroviral (ART) medication; and the Living Well Project which tested the efficacy of providing early palliative care plus motivational interviewing to persons with a new AIDS diagnosis. 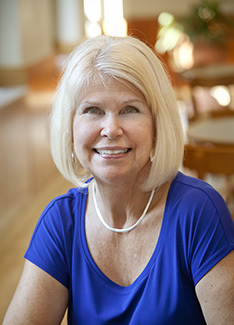 Holstad’s research has resulted in the publication of 40 articles in peer-reviewed journals, a book chapter, and 78 international, national, and regional presentations of her work. In addition to her research and scholarship, Holstad has mentored many junior faculty and post-doctoral fellows. She’s also served as dissertation chair for five doctoral students and advisor or co-chair for several other students. Holstad has also been instrumental in facilitating interdisciplinary collaboration and translational science in HIV and Aging through national conferences that aim to address knowledge and research gaps. In 2014, Holstad served as the co-principal investigator of a successful NIA/NIH-funded interdisciplinary national conference, “HIV and Aging: From the Mitochondria to the Metropolis.” This groundbreaking conference, now in its third year, focuses on the intersection of gerontology/geriatrics and HIV with the goal of fostering research collaborations across these specialties.